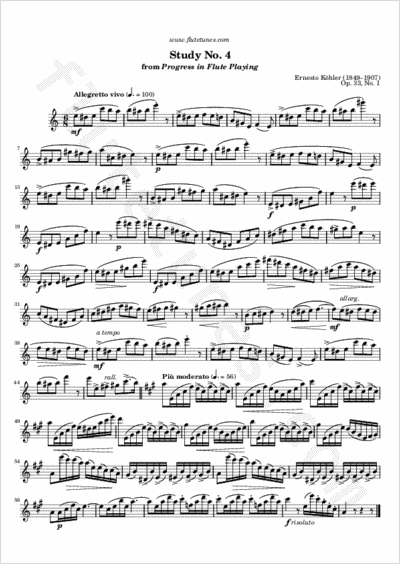 This étude is taken from the first book of Italian composer Ernesto Köhler's Progress in Flute Playing. It is made up of two parts: a first part in A minor (but full of accidentals) that moves mostly in thirds and a second part in A major. Thanks to Neri for suggesting this piece!